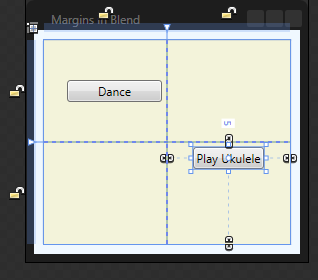 You can use the Properties window in Blend to set any of the properties of a control hosted in a layout container, including layout-related properties. For example, assume that we have a Grid containing a couple of Button controls. 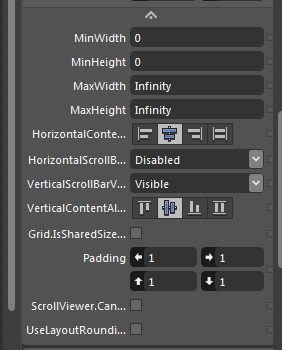 If you click on one of the buttons, you’ll see its properties in the Properties window to the right of the design surface. 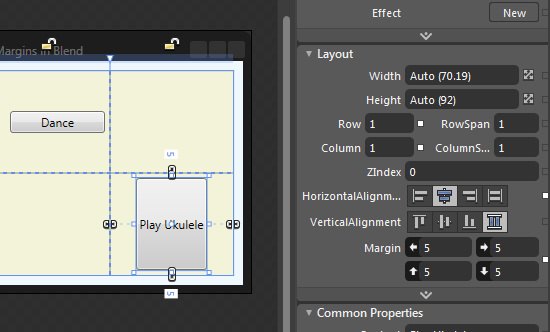 You can see all of the layout related properties in the Layout panel, including height and width, row and column (where in the Grid is the button located), and alignment and margin properties. 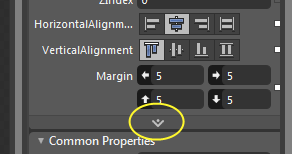 You can click on the various horizontal and vertical alignment icons to change the alignment. Less frequently used properties can be accessed by clicking on the little expander icon at the bottom of the layout panel. 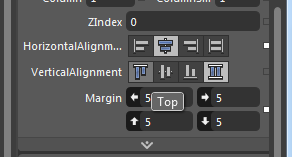 The new panel contains properties like HorizontalContentAlignment, VerticalContentAlignment and Padding values.